Bell had four tackles (two solo) in Sunday's divisional-round playoff win over the Eagles. Analysis: Despite not starting much of the year, Bell finished the regular season with 88 tackles (62 solo) -- the second most on the team. 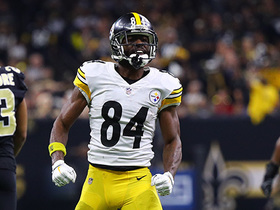 After taking over as the starting strong safety, Bell put together some strong performances down the stretch, including a 10-tackle game in a Week 16 matchup against the Steelers. Though his ancillary stats were lagging -- Bell had just one sack and two turnovers -- the third-year pro should play a key role in the playoffs and into next season. Bell totaled 10 tackles during Sunday's victory over Pittsburgh. 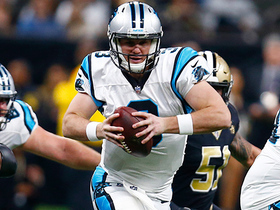 Bell recorded seven tackles, a sack and a forced fumble in Monday's 12-9 win over the Panthers. 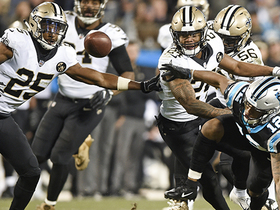 Analysis: Bell played 55 of the Saints' 58 defensive snaps, as the third-year strong safety has clearly leapfrogged Kurt Coleman (11 snaps) on the depth chart. Despite not starting most of the year, Bell still ranks second on the team in tackles (72) and should continue to be a dependable option for IDP owners. Bell accumulated seven tackles and one fumble recovery during Thursday's 31-17 win over the Falcons. Analysis: Bell logged a solid performance on Thanksgiving Day, recording his second-highest single-game tackle total of the season. The 2016 second-round pick also nabbed his first fumble recovery of 2018. 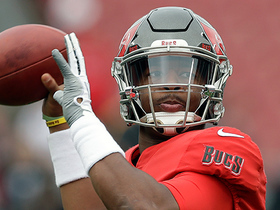 He'll look to have another impressive outing against the Cowboys in Week 13. Bell had eight tackles (five solo) in Sunday's 29-24 divisional-round loss to the Vikings. Bell had nine tackles (seven solo) and a sack in Sunday's 31-26 NFC wild-card win over the Panthers. 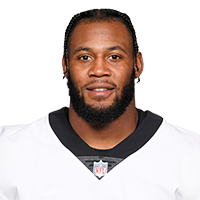 Analysis: Bell played every defensive snap for New Orleans and led the Saints in tackles for the second consecutive week. With Kenny Vaccaro on injured reserve, the second-year strong safety should continue to be a valuable IDP option as long as the Saints remain in the playoffs. Bell and the Saints will head to Minneapolis for an NFC divisional-round showdown with the Vikings next week. Bell had 10 tackles (nine solo) and a sack in Sunday's loss to the Buccaneers. Analysis: With Kenny Vaccaro placed on injured reserve, Bell started at strong safety for the Saints and responded with his best game in weeks. Bell now has 83 total tackles and 4.5 sacks on the season and should be a quality starting option in IDP leagues when the Saints host the Panthers in next Sunday's playoff game. Bell had three tackles in Sunday's 31-19 win against the Jets. 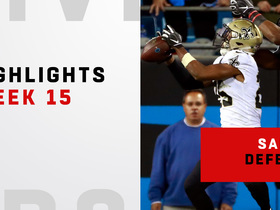 Analysis: For weeks, Bell had been playing the majority of the defensive snaps for the Saints. In Week 15, however, Bell's playing time fell off a cliff, as he only saw the field for 18 of the Saints' 74 defensive snaps (24 percent). 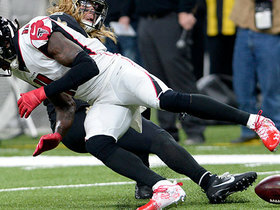 Bell still leads the team with 70 total tackles, but the sudden decrease in playing time is hard to explain and makes him a risky start for IDP owners in Week 16 against the Falcons. Bell made three tackles (two solo) in Sunday's win against the Panthers. Analysis: Bell again played every defensive snap for the Saints. While the numbers weren't there against Carolina, Bell's 65 total tackles still lead New Orleans, which makes him a solid starting defensive back option in most IDP leagues. Bell had 11 tackles (nine solo) and a sack in Sunday's 26-20 loss to the Rams. Bell had 13 tackles (10 solo), a sack and a forced fumble in Sunday's 34-31 win against the Redskins. 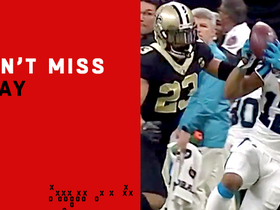 Watch the New Orleans Saints' best defensive plays from their Week 15 win against the Carolina Panthers. 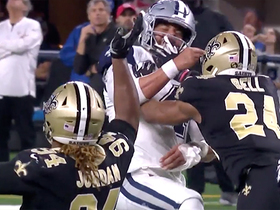 New Orleans Saints safety Vonn Bell is called for a roughing the passer penalty on Dallas Cowboys quarterback Dak Prescott. 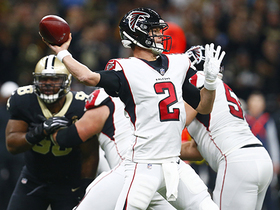 Atlanta Falcons quarterback Matt Ryan hits wide receiver Julio Jones perfectly in stride in the red zone. 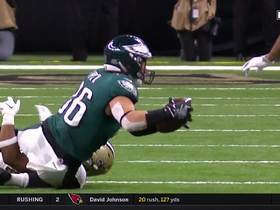 Philadelphia Eagles quarterback Carson Wentz finds his tight end Zach Ertz to convert a third down on a gain of 8 yards.